Stanford researchers have for the first time captured the freezing of water, molecule-by-molecule, into a strange, dense form called ice VII ("ice seven"), found naturally in otherworldly environments, such as when icy planetary bodies collide. In addition to helping scientists better understand those remote worlds, the findings - published online July 11 in Physical Review Letters - could reveal how water and other substances undergo transitions from liquids to solids. Learning to manipulate those transitions might open the way someday to engineering materials with exotic new properties. "There have been a tremendous number of studies on ice because everyone wants to understand its behavior," said study senior author Wendy Mao, an associate professor of geological sciences and a Stanford Institute for Materials and Energy Sciences (SIMES) principal investigator. "What our new study demonstrates, and which hasn't been done before, is the ability to see the ice structure form in real time." Those timescales became achievable thanks to the Linac Coherent Light Source, the world's most powerful X-ray laser located at the nearby SLAC National Accelerator Laboratory. There, the science team beamed an intense, green-colored laser at a small target containing a sample of liquid water. The laser instantly vaporized layers of diamond on one side of the target, generating a rocket-like force that compressed the water to pressures exceeding 50,000 times that of Earth's atmosphere at sea level. As the water compacted, a separate beam from an instrument called the X-ray Free Electron Laser arrived in a series of bright pulses only a femtosecond, or a quadrillionth of a second, long. Akin to camera flashes, this strobing X-ray laser snapped a set of images revealing the progression of molecular changes, flip book-style, while the pressurized water crystallized into ice VII. The phase change took just 6 billionths of a second, or nanoseconds. Surprisingly, during this process, the water molecules bonded into rod shapes, and not spheres as theory predicted. 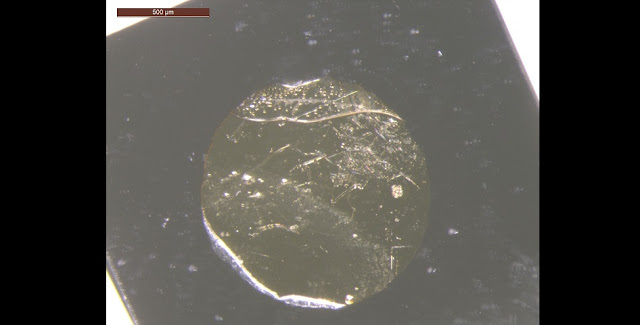 The platform developed for this study - combining high pressure with snapshot images - could help researchers probe the myriad ways water freezes, depending on pressure and temperature. Under the conditions on our planet's surface, water crystallizes in only one way, dubbed ice Ih ("ice one-H") or simply "hexagonal ice," whether in glaciers or ice cube trays in the freezer.